See Baltimore and Annapolis from way up above stunning skylines! This helicopter tour takes you over Maryland’s two most iconic cities. See Baltimore and Annapolis from way up above stunning skylines! This helicopter tour takes you over Maryland’s two most iconic cities. 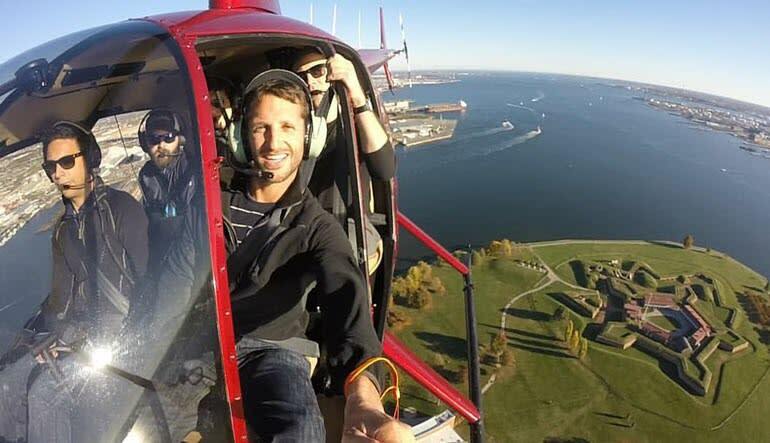 Perfect for shutterbugs, the helicopter tour gives you unobstructed views of everything from submarines to bustling beaches and famous bridges. Settle into a Robinson Bell 407 or 206 for a 30-minute tour of Baltimore and Annapolis. Snap shots of the Natty Boh Sign and the Domino Sugar sign. 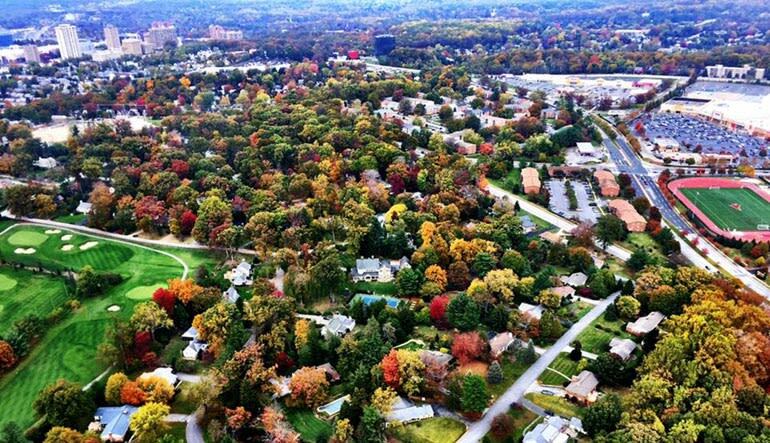 Fly over Patterson Park and Fells Point. Swoop over the Oriole’s Stadium and the Raven’s M&T Bank Stadium. Keep your eyes peeled for the USS Constellation and the USS Torsk! Head over to Key Bridge and the Fort Carroll Sanctuary. Enjoy bird’s eye views of Venice on the bay, Bayside Beach, Gibson Island and Magothy River. Travel to the U.S. Naval Academy and Navy Stadium. Continue on to the Annapolis Marina and Maryland State House. Explore historic lighthouses and the Chesapeake Bay Bridge. Get the clearest views possible of Downtown Baltimore and Downtown Annapolis. The seven-seater Bell 407 helicopter provides a remarkably comfortable trip with big windows that don’t let you miss a thing. Book your sky-high adventure now!